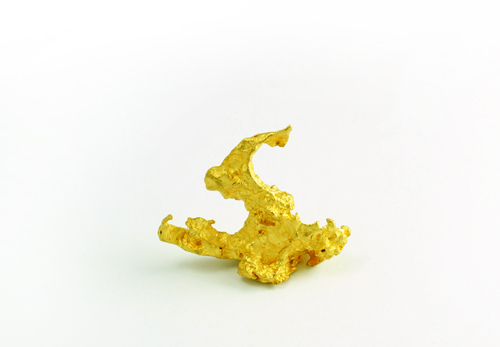 In terms of annual world gold production, nugget gold or placer gold makes up less that 2% of the total amount of gold mined. 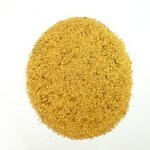 The vast majority found is in the form of gold dust. By weight, there is 10 times the amount of gem quality diamonds found in a year than select fine jewellery grade placer gold nuggets. 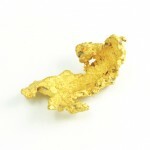 Placer Gold Design sources it’s gold nuggets globally. Smaller placer gold for inlay into jewellery is from British Columbia, Yukon Territory and Alaska. 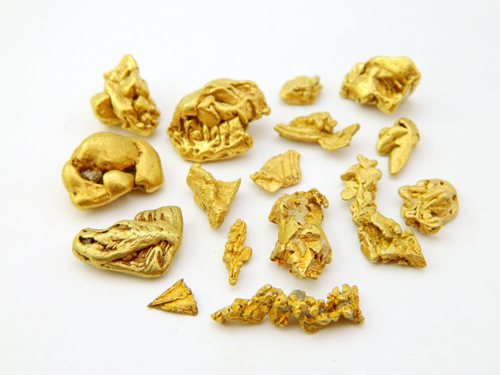 The larger placer gold nuggets are purchased from individual prospectors generally from Australia. 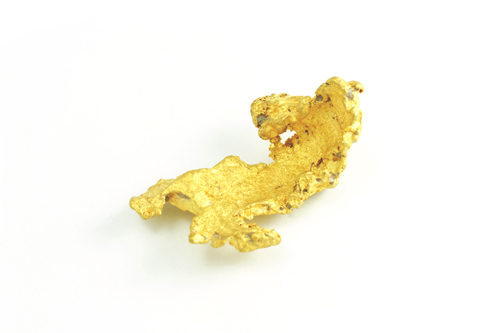 All of the placer gold nuggets in our jewellery and specimens are in a natural (as found) condition. Only a minimum of cleaning and polishing has been done. The gold rush to the Pacific Northwest commenced 10 years after the great California Rush. From 1858 to the first decade of the 20th century rich placers were discovered from the 49th parallel to the Bering Sea. Even after 150 years original discovery claims are still yielding impressive amounts of gold. Forty years of personal contact with the miners has always provided Placer Gold Design with the very best selection. In Australia the geology that evolved was different than North America in that it produced big, exceptionally pure gold. In North America most of the gold mined is microscopic. The quartz veins in Australia produced the highest concentration of large solid masses of gold on Earth. 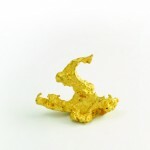 Millions of years of erosion dissolved the quartz veins and scattered the gold nuggets throughout the goldfields. After 150 years of mining history there is still a small group of dedicated individual prospectors searching these areas with high tech metal detectors. 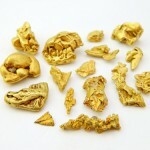 Every year a few hundred ounces of premium quality gold nuggets are discovered. Each nugget is hand dug along with nails, bullets, bottle caps, etc. Unlike the big gold mining companies with their multi-million dollar investments in heavy equipment and massive fuel bills, a cold beer is more relevant to the Australian seeker. Keep in mind, the Australian prospector’s mine consists of a one-foot hole which is filled in afterwards. 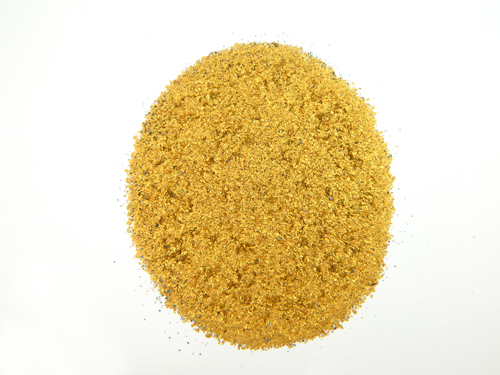 Gold in natural crystalline state is the most highly prized form of the precious metal. Values can and do equal the rarest of gold coins with the guarantee that there is only one example. Gold crystals in pristine condition are never used in jewellery pieces but rather are collected as complete specimens. However, water worn placer gold crystals can be utilized in fine jewellery with professional expertise. Placer Gold Design has an extensive inventory of these pieces.